Conversion optimization tools are estimated to have an average ROI of 223%. And that is totally expected as they’re largely responsible for most conversions and revenue. However, CRO tools are more expensive than many other marketing tools, too (as you’ll soon see in this article). And there are so many of them out there. But at the end of the day, it’s not using these tools that matters but what they do for your business. And what they do largely depends on how you utilize them. In this post, I’ll show you strategies to get the best out of your conversion optimization tools. But of course, it could simply be because more people are seeing the budget options and realizing it’s not a fit for them. 60% of marketers analyze customer journeys to improve conversions. But how do we ensure we’re rightly interpreting the insights and data provided by CRO tools? It can boggle the mind. The conversion tools we all know like Hotjar, Mailchimp, Kissmetrics, and Google Analytics tell you how conversions are and aren’t happening on your site and within your business – which is super helpful of course. But what they won’t do is interpret the data they provide; that’s your part of the job. What metrics do you refer to as Key Performance Indicators (KPIs) for conversions in your business? Free trial sign-ups? Orders completed? Leads generated? 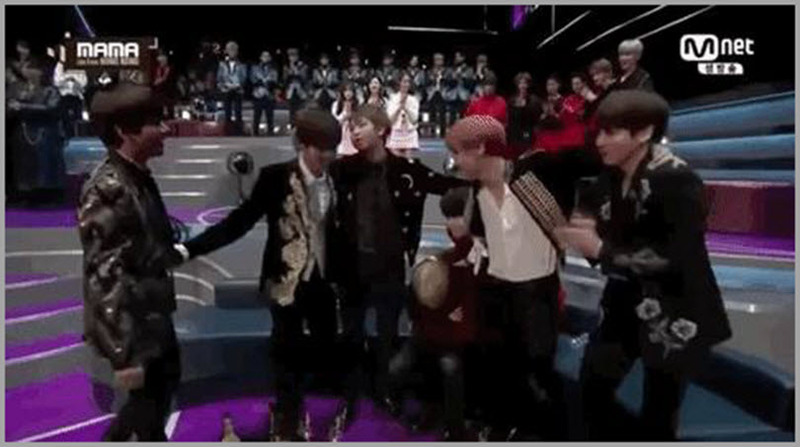 Call requests? Average order value? You want to pay attention to key KPIs like these to use conversion tools optimally. Narrowing down your conversion optimization metrics helps better conversions as you’re able to focus on them squarely, pouring all your resources on them. In an AMA on Online Geniuses – an online community for marketers – Oli Gardner was asked the following question: Which business metrics do you think Unbounce performs best at? The Unbounce team – at the time of this AMA – was focusing on reducing churn. They even had a task force for it. That’s pretty much where all their conversion optimization efforts were going. You can imagine the impact of an axe that’s repeatedly hitting one spot on a tree, as opposed to hitting different spots on the tree. Does this mean other non-conversion related metrics – page visits, traffic sources, bounce rates, time on page, etc. – aren’t important anymore? Well, not exactly. You still want to compare metrics like page visits to conversion numbers, traffic sources vs. conversions, time on page vs. actual conversion rates, mobile/desktop users vs. conversions, and so on. 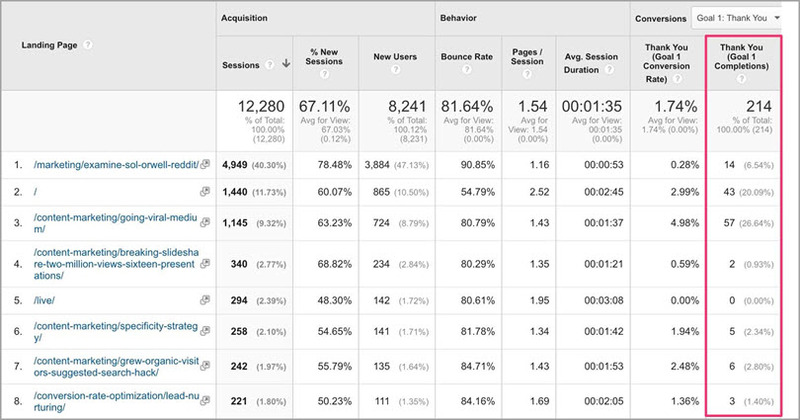 So yes, metrics unrelated to actual conversions are still important when using conversion optimization tools. But you want to focus on actual conversion metrics to use conversion tools optimally. 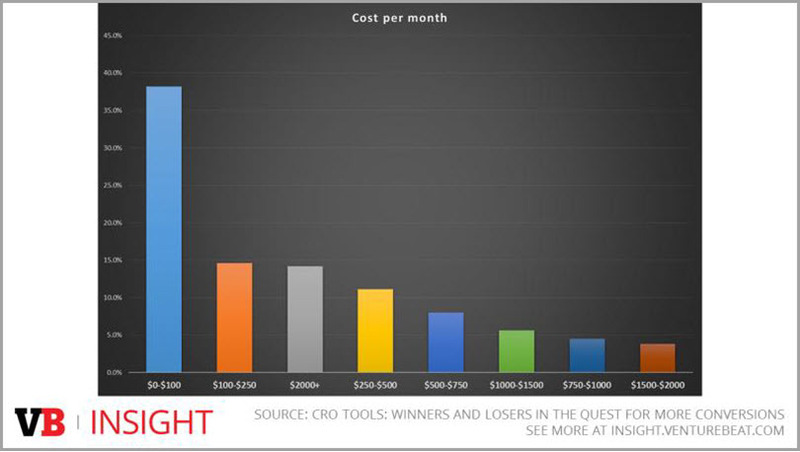 On average, companies are spending as much as $2,000 a month on CRO tools. With this pricey type of tool, you need to be sure being stuck on confirmation bias doesn’t deter your much-needed ROI. That a tool shows what you’ve been desiring to see doesn’t mean it’s valid. You can relate, right? That moment when you’re seeing a 70% lift in conversions and goose gumps start getting the best of you. The data may not be entirely accurate, you should do some further research. The famous two-tailed tests can come in handy here; where you’re not just looking at the interpretation of data in just one direction. 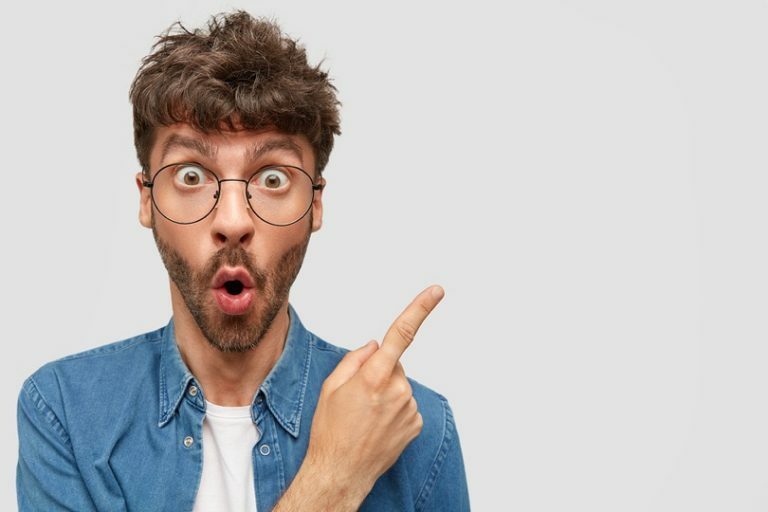 For example, the awesome team at SumAll shared how they thought a conversion optimization tool was right when it showed that their first homepage variation had an 18.1% conversions over the second one. Thus, you want to run two-tailed tests to filter out any false positives that CRO tools (or any other marketing tool for that matter) could be showing you. Another brilliant tactic – mostly as a second option – to avoid data misinterpretation is to run your thoughts by your fellow or even more experienced marketers on the team. This way, you’re not considering only one possibility of the effect of data, but two. Avoid always being ready to believe data. It’s crazy, but it happens to the best of us. But it also shouldn’t be what happens all the time. How do you combat being a victim of confirmation bias? Get other experts’ perspectives – which leads to my next point. To avoid confirmation biases, getting other experts’ perspectives is a brilliant solution. Odds are high you aren’t the only expert in your team. Leverage the expertise of other team members and you’ll get some varied points of view on the data you’re staring at. There’s almost always an angle you’re not seeing that someone else might see, which explains why teams outperform individual decision-makers 66% of the time. Keep in mind that marketing decisions are usually risky. You’re making decisions as a marketer that affect how your entire organization makes money. Implementing change based solely on your interpretation of data could have nasty repercussions; it’s better a team takes the heat or the glory than just you. The colleague might agree with your data interpretation, cool. If she doesn’t, even better – she adds to the pot of possibilities of why homepage visitors now convert better. Maybe it’s a change in your copy, image, or trial period. In any case, since she doesn’t agree with your interpretation of data, you’ve gained new insight from having shared your thoughts with a colleague. You have another way to interpret your data. Try this with two or more other team members and you might just end up with a wealth of quality data interpretations. Of course, you might come across one or two crappy ideas, but that’s a small price to pay for other quality ones you get. In the end, getting other experts’ perspectives on your data fosters better decision making. Hold on a second: Some well-known experts shared what their favorite CRO tools are with me. Check it out in the section just before the conclusion. Thank me later. Another major factor to consider when using conversion optimization tools is the cost involved versus the inherent potential. Of all marketing tools, conversion tools are often especially expensive. Yet, only 22% of businesses are satisfied with their conversion rates. While they are invaluable, conversion optimization tools can do damage to scaling if they are more expensive than the results they bring. While their pricing details aren’t publicly available, Optimizely is estimated to cost about $36,000/yr to $200,000 – according to Convert. These are pretty expensive tools, so you want to ensure you’re not wasting money. Andy Crestodina of Orbit Media Studios shared with me how Hotjar helped him figure out the best position to place testimonials on a page on his site. This way, Andy is getting tangible results from Hotjar and isn’t just throwing money at the tool – just for the sake of it. Every tool should pay for its cost and provide some crucial benefits. Or at least, before spending money on a tool, check your other tools to see if there are any overlapping functions. Also, ask questions that determine whether or not a tool is really useful or it’s just nice on paper. There are new tools popping up every day, and it can be tempting to drop money you don’t have based on great marketing promises. Regardless of how powerful or expensive your conversion optimization tools are, they’re useless if the customers they bring in are not your target customers (AKA people who will remain on your list but almost never convert into paying customers since your product isn’t for them). This might seem pretty basic, but you’d be surprised at how many businesses are careless about the value of people converting on their site. They just want people to subscribe, and that’s it. So, on their forms, you see things like “sign up for our free trial” “get our latest tips” and so on. Messaging like this doesn’t exactly speak to the people you’re targeting. And so, every Tom, Joe, and Mary will be signing up. Shopify creates a lot of content on content marketing, SEO, how to get traffic, and the like. These are topics that attract a whole lot of people who aren’t even Shopify’s target audience – entrepreneurs. 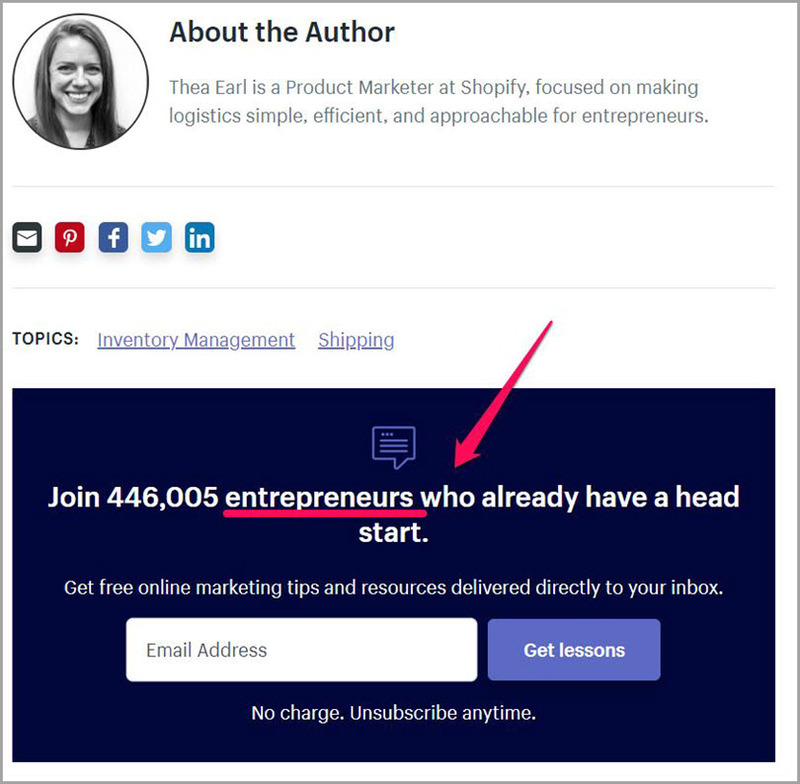 With all the thousands and millions of monthly visitors they get, a good way Shopify ensures its conversion tools are only bringing in entrepreneurs into its database is by targeting entrepreneurs in their conversion efforts. Here’s the downside of using conversion tools without targeted messaging: not only will conversions suffer as a result of weak copy, but when conversions do happen, odds are high you’ll get the wrong people signing up – since you’ve communicated a wrong/weak/untargeted message on your opt-in forms and sign-up pages. And because they’re not your ideal customers, they remain in your database and never become customers – while you still pay the cost of acquiring them as customers. It’s not enough to use conversion tools to get sign-ups, you want to ensure your tools are getting the right sign-ups. I reached out to veteran marketers, asking them to share their favorite conversion optimization tools and why they’ve chosen them. Get the report right here. Conversion tools are powerful, but they’re nothing without expert marketers manning them to bring the best out of them. When marketing tools meet experts, an explosion usually happens. The strategies above can equip you to use conversion optimization tools optimally. Ensure your data interpretation is on point. If you can, get expert colleagues to look at data before concluding its interpretation. Also, if your tool isn’t providing any tangible value or is offering a solution that’s offered in another tool, let it go. Finally, work on getting high-quality conversions. Your best conversions are your target customers who sign up today. Guest author: Victor Ijidola drives leads and sales for B2B and B2C brands via content marketing and copywriting. He’s available for hire and has been featured on sites like The Next Web, Entrepreneur, Kissmetrics and many more. Find him at Premium Content Shop.